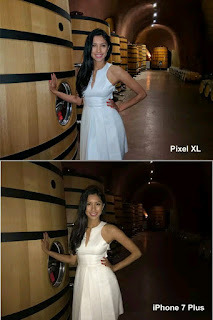 Hello Friends, today we can talk about the Google Pixel vs iPhone: Which camera is better? This year, Google launched Google Pixel and he says this Pixel has the best camera ever on a phone. But Google isn't the only phone maker hyper-focused on photography this year. Apple's new iPhone 7 Plus included, for the first time, a dual camera system with optical zoom & a game-changing portrait mode. 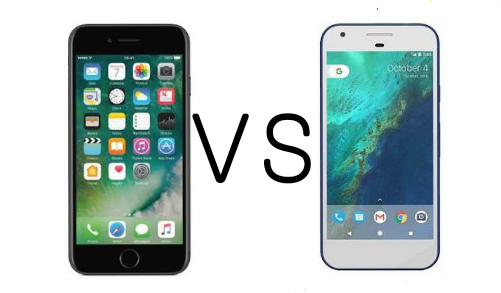 So let's compare the iPhone 7 Plus vs Google Pixel. Launching the camera on the iPhone is easy: rise to wake(the screen automatically wakes up when lifted), then swipe left. Launch the Pixel's camera icon in the bottom right corner and drag up. 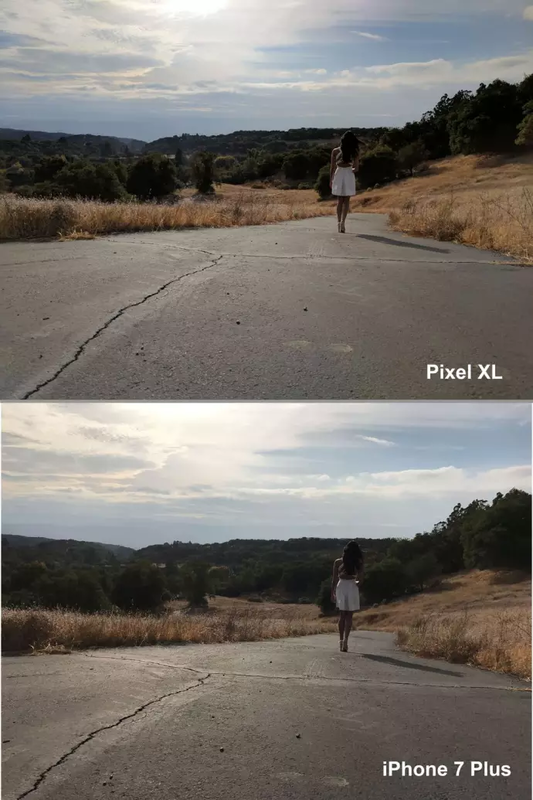 The First thing you might notice in this comparison is that the crop on the iPhone is smaller than the Pixel. Auto HDR was left enabled and no other camera setting were changed (save for Portrait mode - we'll get to that later). 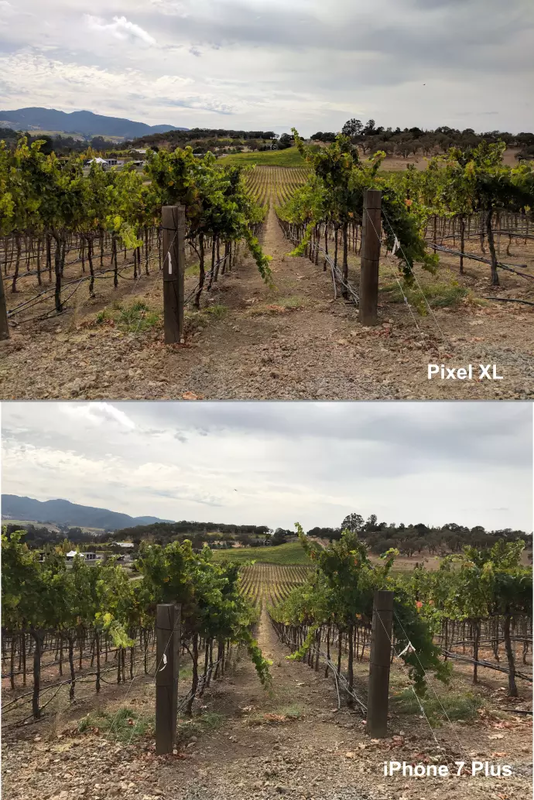 Landscape look great on both phones, but the Pixel appears to have the upper hand. Colors are slightly more saturated in this shot. The iPhones's shot looks slightly flatter and the background gets muddy sooner than the Pixel. When you're photographing sporting events, small children, or (in my case) animals, a fast shutter speed is crucial. 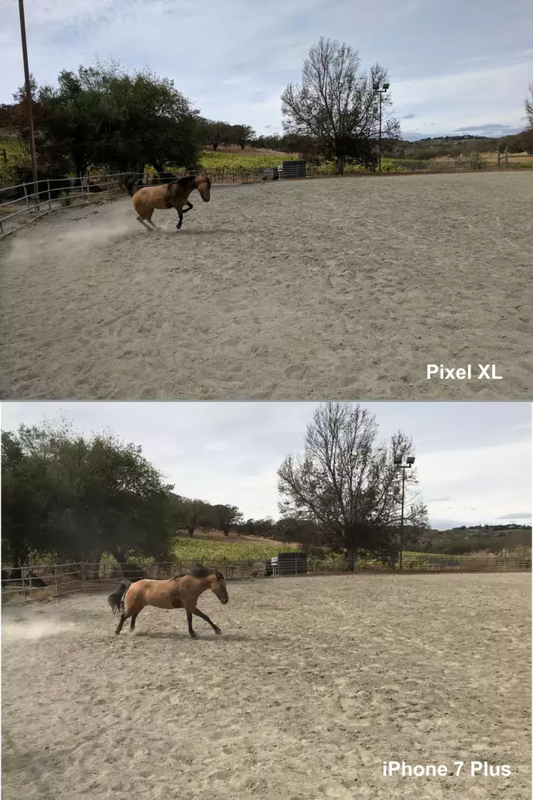 Getting the exact shot on both phones while the horse was in motion proved nearly impossible, so the photos below are different. 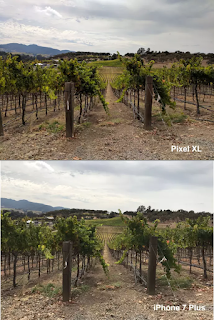 The front camera on the Pixel outperformed the iPhones both outside and indoors. For lunch, we took a break from the horses and the vineyards for a quick culinary tour of the Oxbow Market in Napa. The minimum focus distance on the iPhone is significantly shorter than the Pixel. The pastry on the iPhone is brighter, giving the shot more depth, even through the background is a hint overexposed. So what happens when they get some help from the flash? The iPhone 7 Plus has a Quad LED true-tone to flash while the Pixel has a dual-LED, dual tone flash which means - if you buy into the jargon - the iPhone should have the upper hand. Let's get one thing out of the way: Both phones have - you might say are - impressive cameras. If brighter colors, sharper detail throughout the backgrounds of photos and capable low-light photography is more important. it's the Pixel. 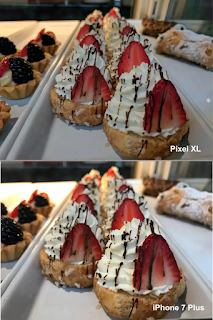 I have to admit, I initially through Google over-promised on its new flagship - especially after those disappointing Nexus cameras - but I was wrong. It's a new one earned its name. Also read, "Android O Pixel Launcher On Any Android Phones"